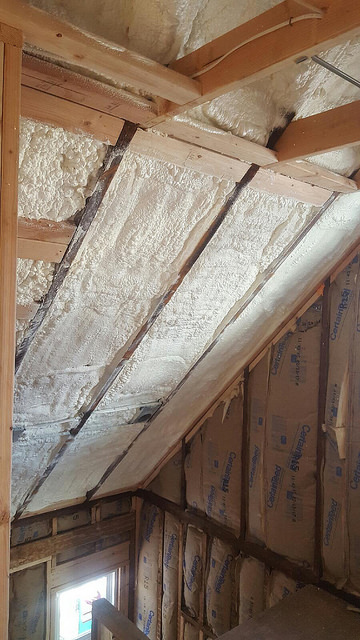 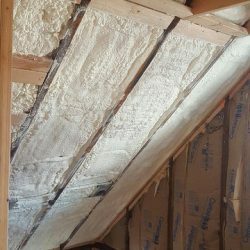 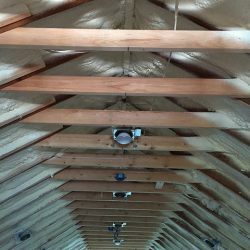 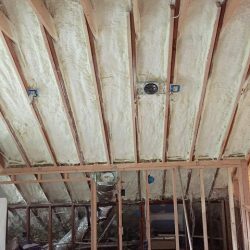 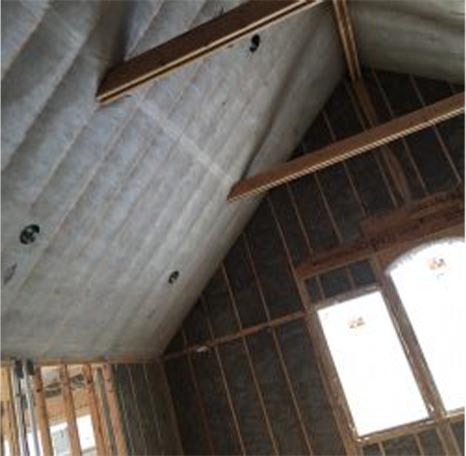 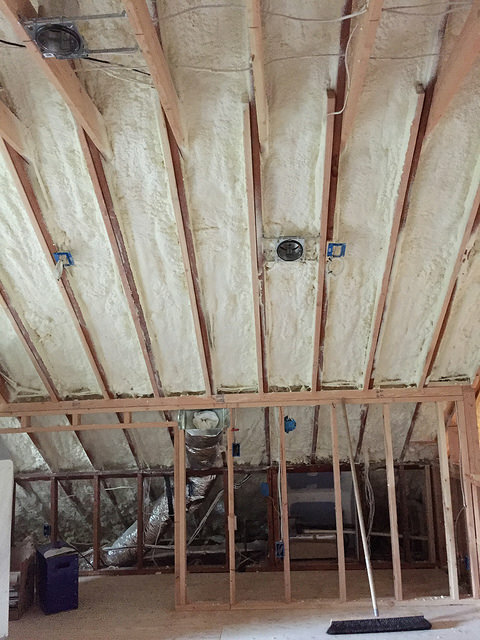 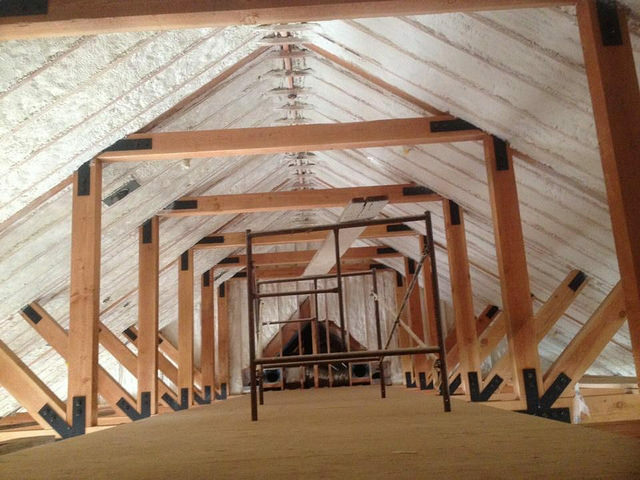 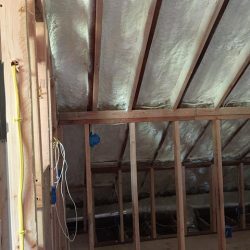 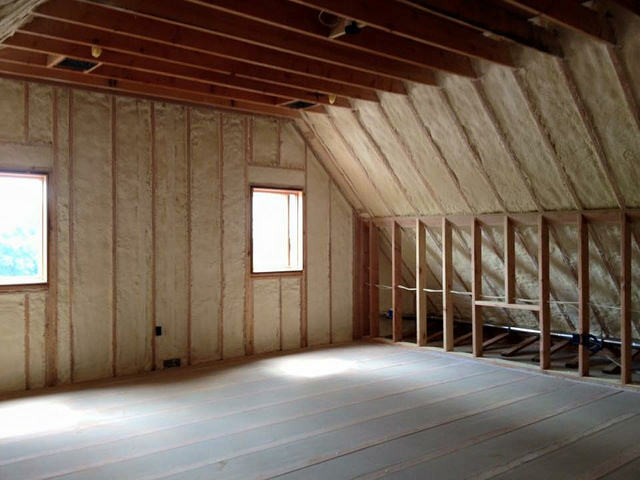 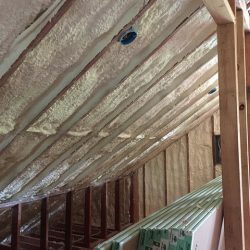 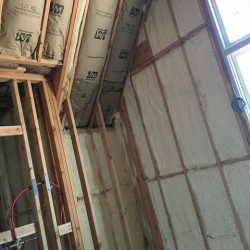 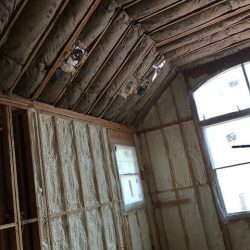 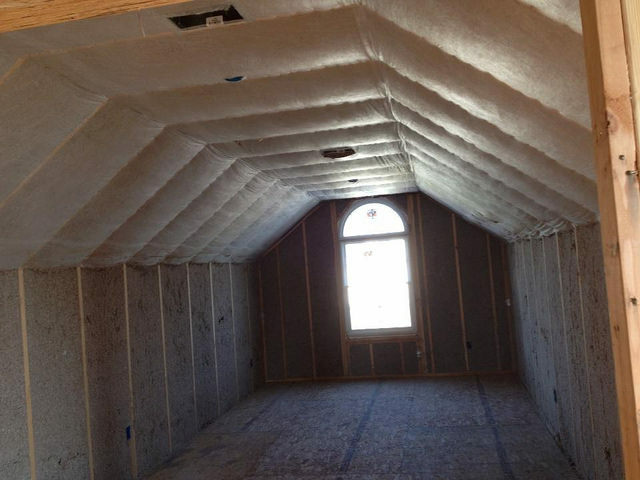 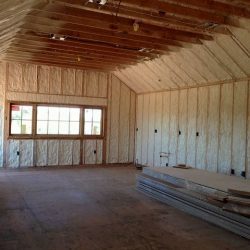 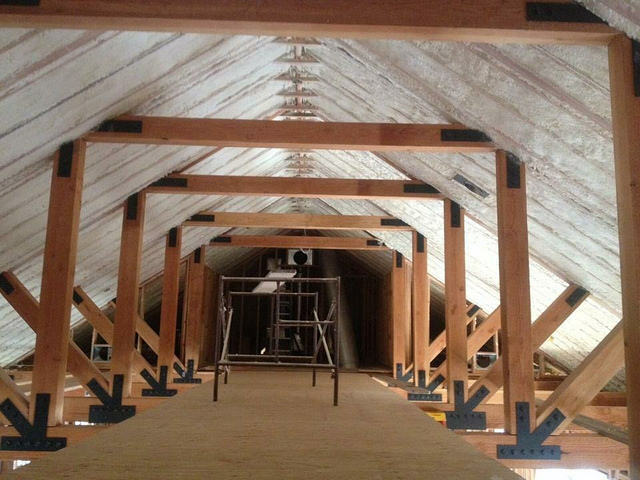 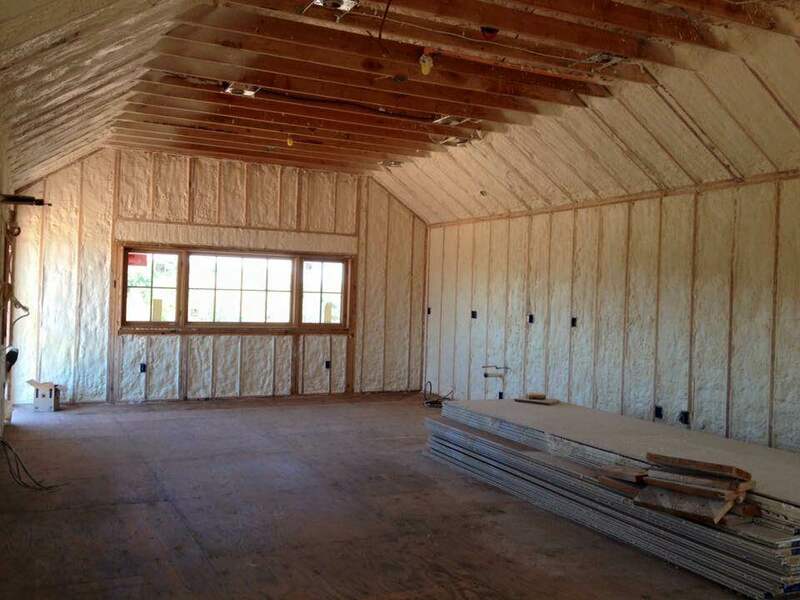 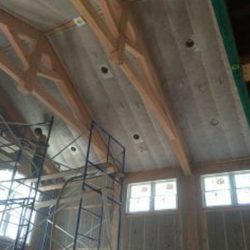 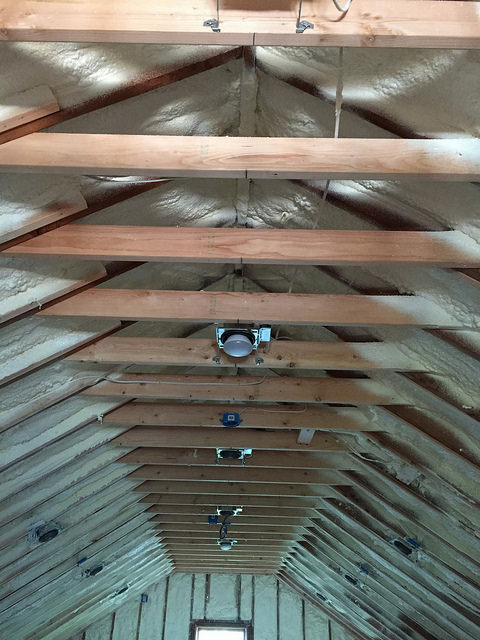 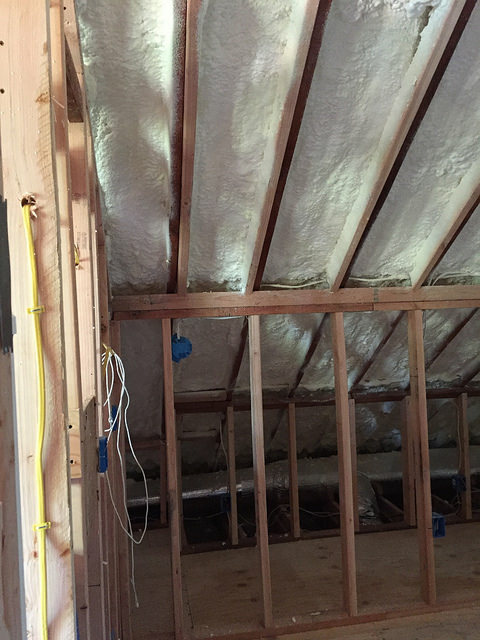 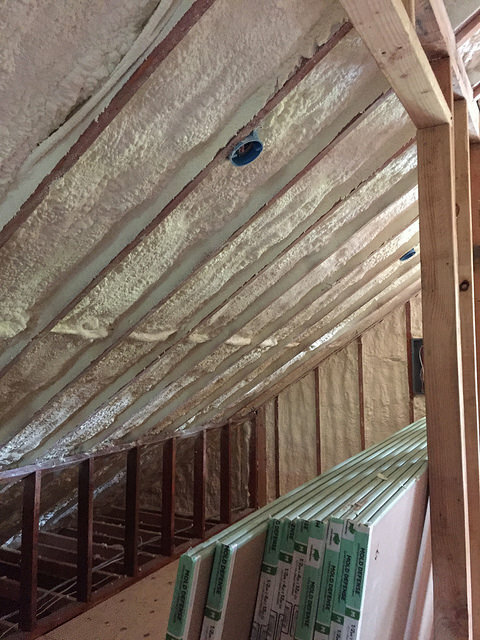 Spray foam insulation is the most energy-efficient, environmentally friendly, closed-cell spray-in-place polyurethane insulation system available. 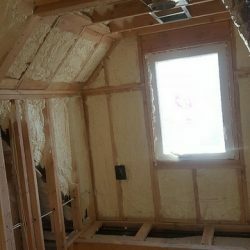 It is formulated from renewable agricultural resources and it saves the homeowner up to 60% in energy costs; compared to other common types of insulation. 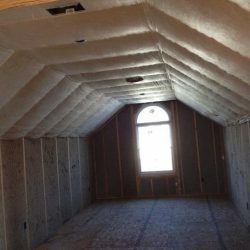 It stops air leakage into and out of your home, reduces noise, blocks dust, pollen and other airborne pollutants for a more comfortable environment. 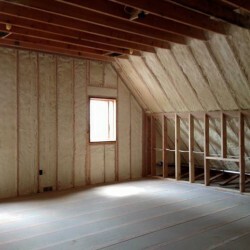 We offer a wide variety of R-values of fiberglass batting. 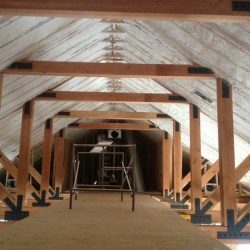 You can trust our quality workmanship, ensuring successful building inspections. 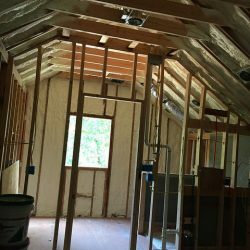 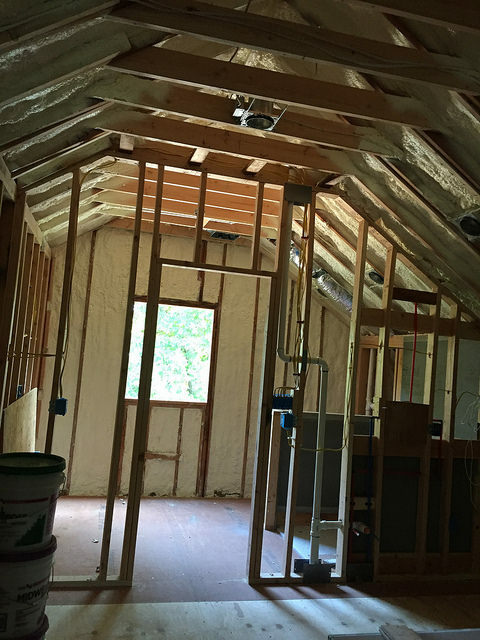 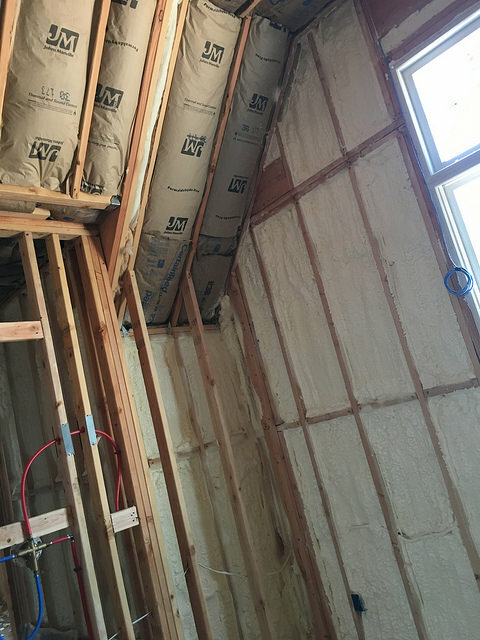 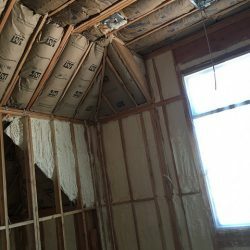 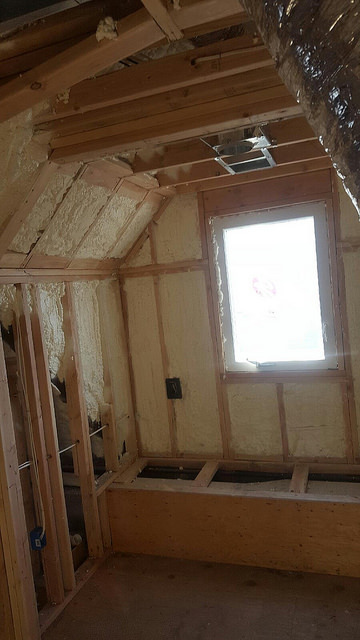 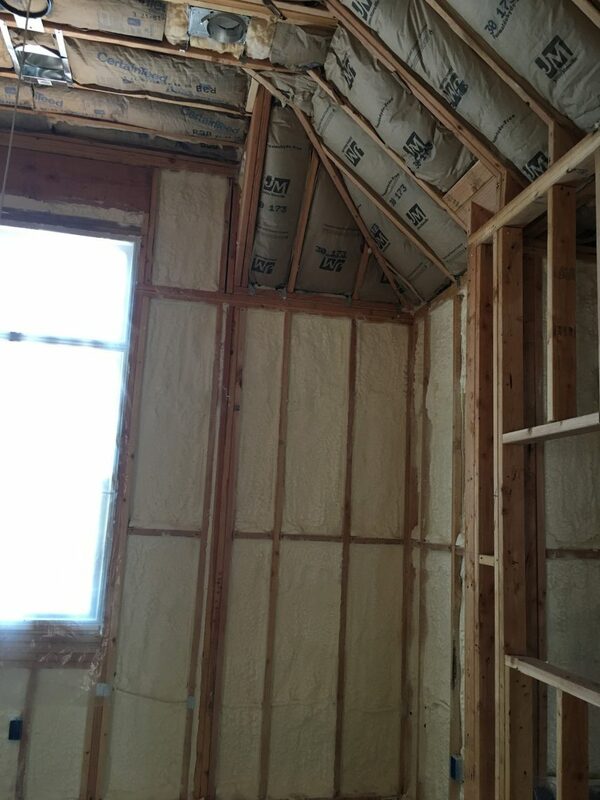 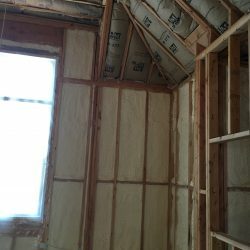 If you are planning a new home, or an addition to an existing home, Paulsen Insulation can insulate during the construction process. 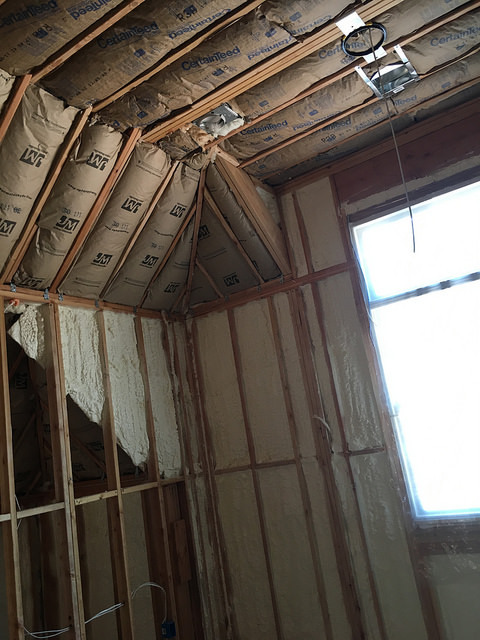 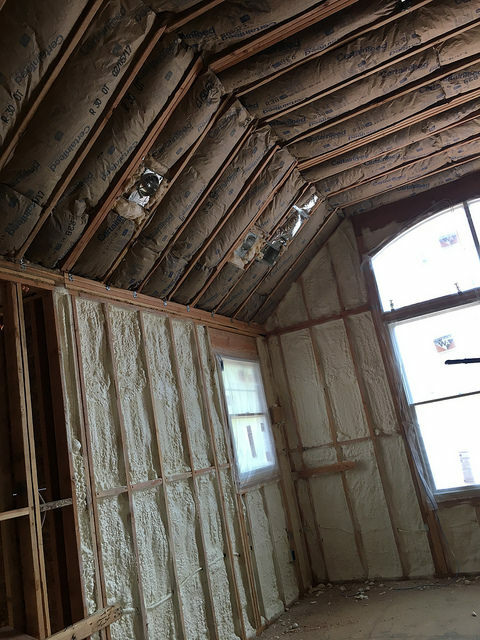 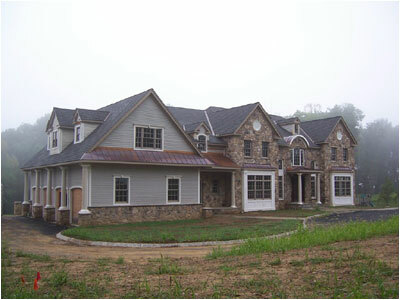 Paulsen works with homeowners, contractors, and architects, to ensure each new construction project benefits from our superior insulation process. 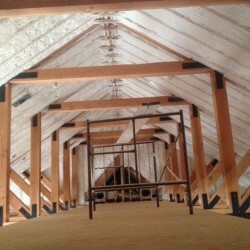 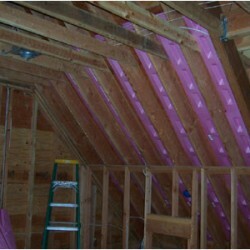 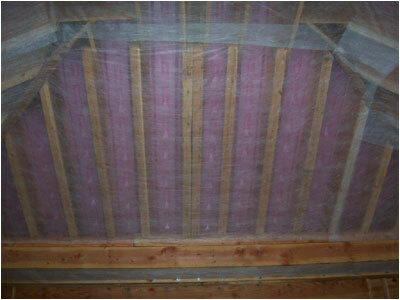 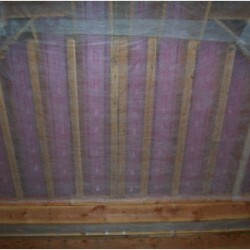 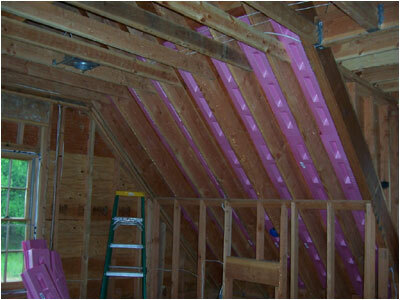 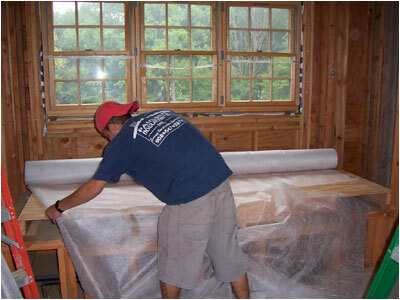 Click on any new construction insulation photo to enlarge.